Before you lace up your sneakers or pull out your checkbook, exercise your mind. 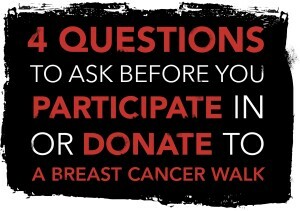 As part of our Think Before You Pink® campaign, we’ve created this new set of questions to help you decide whether your participation in or donation to a breast cancer walk will have the impact you want. For nearly two decades, we’ve been listening and responding to our members’ concerns about the effectiveness of these breast cancer walks. 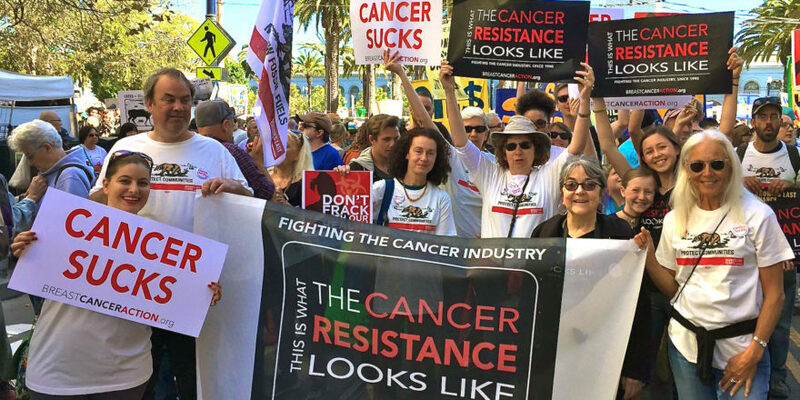 Over the years, these events have turned into multi-million dollar marketing bonanzas, too often benefiting corporate reputations more than women living with and dying from breast cancer. 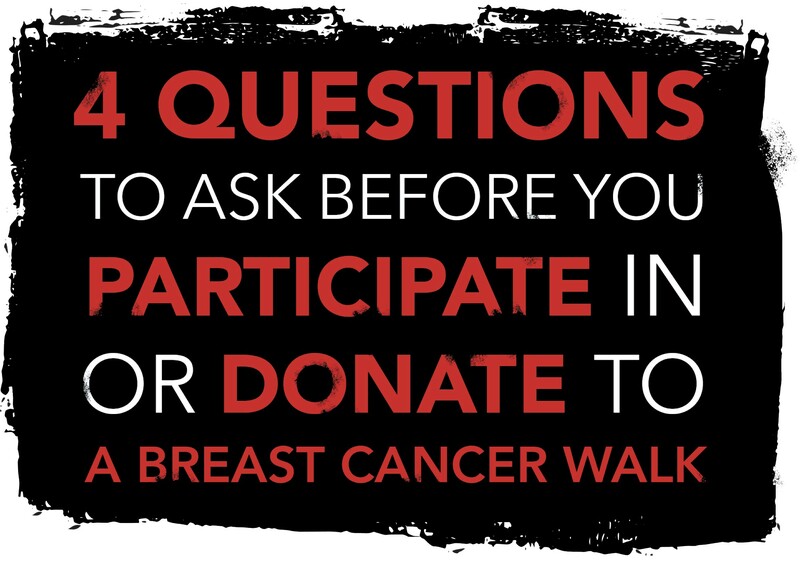 Contact organizations and corporations that put on breast cancer walks to get answers to the questions above and then demand changes you want to see. Volunteer for or give directly to a breast cancer organization that is doing work you think is important and that doesn’t take money from pinkwashing companies that profit from the disease at the expense of our health. Learn more and educate others about the history and politics of the breast cancer movement by hosting a film screening of the documentary Pink Ribbons, Inc.
Download this PDF of this resource.